I feel like whenever a new brand of online vitamins comes out they automatically target me on Facebook ads. 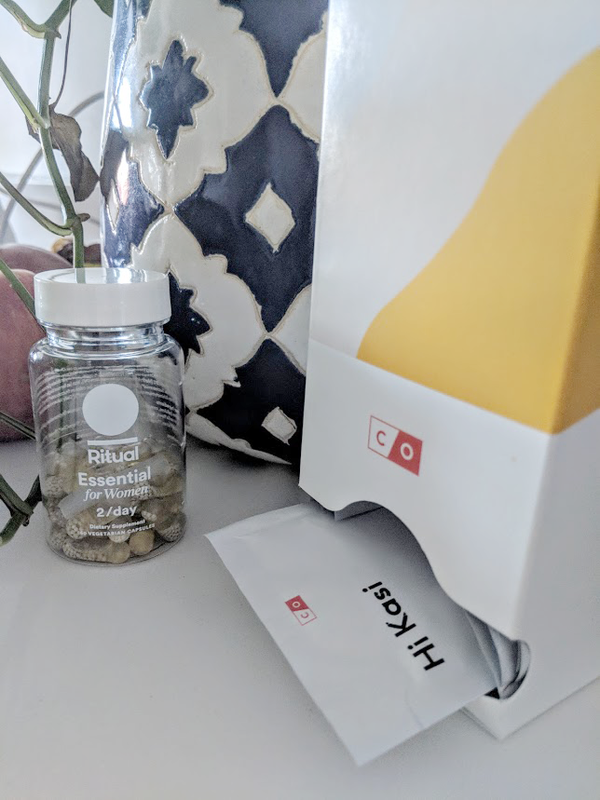 I kept seeing the ads for these two vitamin brands until I finally cracked and decided to give them a go. The first ones were Care Of which come in separate little pouches and include a variety of different capsules. There is a little questionnaire that you can go through to see what you need to be feeling your best. This felt like a bit of fluff for me because some of the supplements they were recommending did not seem like an item that is essential to my wellbeing. With that being said I decided to try them out anyways. They had five recommendations for me, which were: Astaxanthin, Calcium, Fish Oil, Ashwagandha, and Rhodiola. I'm no expert but I felt like calcium and fish oil were the main things I needed, what can I say, I'm a rebel. I did a month of those vitamins and I can't say I've experienced a big change. If you like flexibility and the ability to pick and choose which supplements you want to receive each month this is a good option for that. 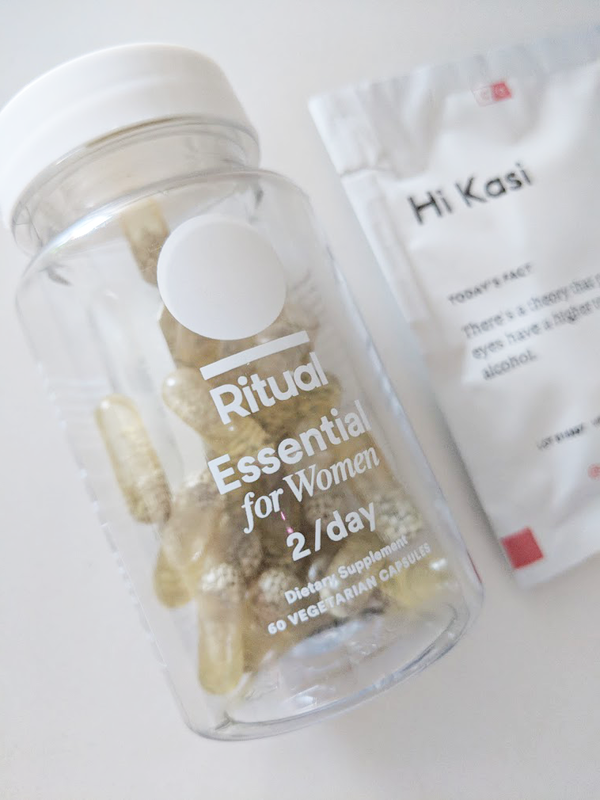 The second vitamins I did for 3 months, these vitamins are called Ritual. With these ones you don't get to pick and choose, they provide a pack per month which is filled with enough capsules for a month. You have to take 2 capsules a day, the capsules are pretty neat in that they are see-through. I liked these ones slightly better because they included all of the things that you might need, without me having to take matters into my own hands and trying to decide whether I should be taking a certain supplement or not. I think I felt a but more energy while taking these but it could also be a placebo effect. Overall I just liked knowing that I was taking daily vitamins and that felt like a small step in the right direction. Full disclosure, I paid for both of them and I'm just sharing my personal opinions. This is not a sponsored post. This year I want to take more steps to self-care and I think that taking supplements is one of those steps. I don't know if I'll continue on with either one of these but it did feel nice having a supplement taking routine. Do you take vitamins? Which brands do you like and why?